Sunday Meeting: Carrie Jenkins - What is love? "Aside from being the title of many a popular love song, this is one of life's perennial questions. In What Love Is, philosopher Carrie Jenkins offers a bold new theory on the nature of romantic love that reconciles its humanistic and scientific components. Love can be a social construct (the idea of a perfect fairy tale romance) and a physical manifestation (those anxiety- inducing heart palpitations); we must recognize its complexities and decide for ourselves how to love. Motivated by her own polyamorous relationships, she examines the ways in which our parameters of love have recently changed-to be more accepting of homosexual, interracial, and non-monogamous relationships-and how they will continue to evolve in the future. 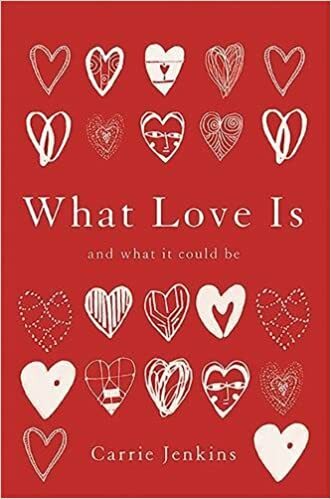 Full of anecdotal, cultural, and scientific reflections on love, What Love Is is essential reading for anyone seeking to understand what it means to say "I love you." Whether young or old, gay or straight, male or female, polyamorous or monogamous, this book will help each of us decide for ourselves how we choose to love." Carrie SI Jenkins is Professor of Philosophy at the University of British Columbia, Vancouver, and a nationally elected Canada Research Chair. Jenkins received her BA, MPhil and PhD degrees from Trinity College, Cambridge, where she read philosophy in the analytic tradition shaped by Bertrand Russell, Ludwig Wittgenstein, and GE Moore. She previously held academic posts at the University of St Andrews, the Australian National University, and the University of Michigan. She tweets @carriejenkins.